ow about a little break from the Christmas rush in the form of a “house crush” post. 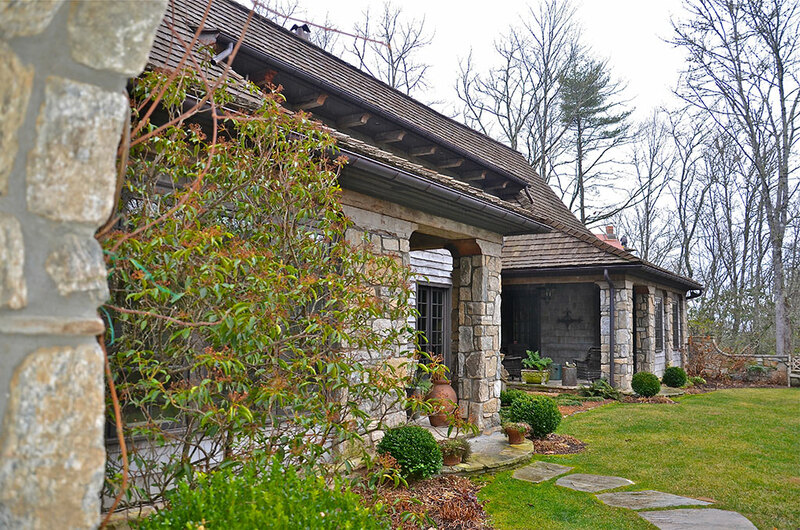 The home was designed by Atlanta architect Norman Askins and built by Highland’s builder Tommy Chambers. 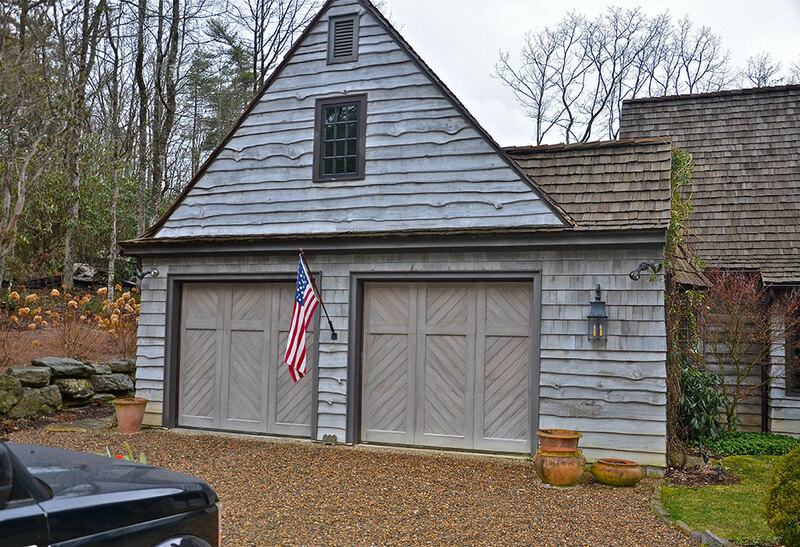 The use of uneven siding, rock, cedar shakes and old barn timbers creates the most beautiful mix of materials and add so much visual interest to the home. 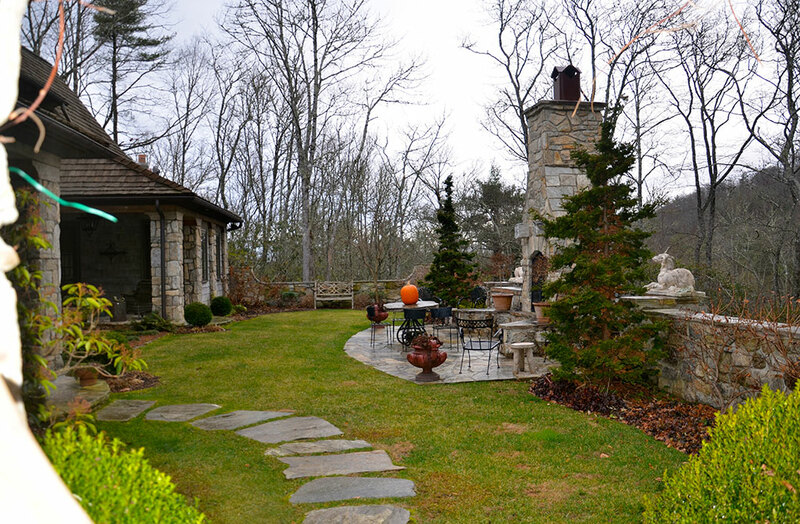 The stone path leads to the home’s courtyard entry and field stone patio. I really love the high roof pitches that add such a sense of drama and resembles the slopes of the mountains beyond. 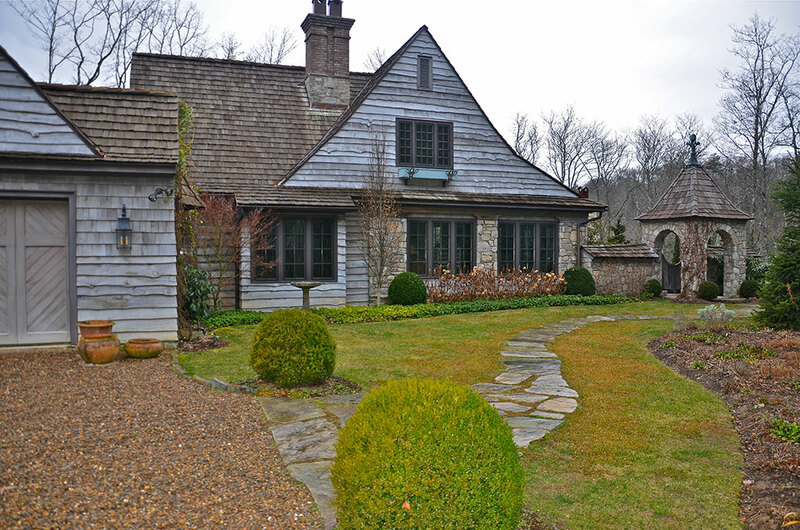 The drive to the home crosses over a small stone bridge and winds down a gravel drive lined with beautiful plantings of boxwood and hydrangea–two of my favorites. The beautiful curb appeal of this home makes me wonder what is inside … maybe someday they will invite us to see! 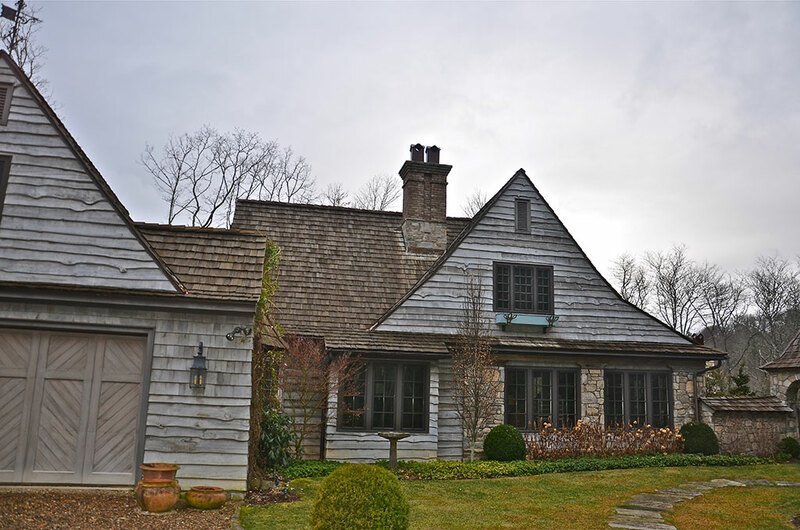 The casement windows, chimney and window boxes create such a charming home. I can imagine a beautiful garage apartment behind this window. What do you think? 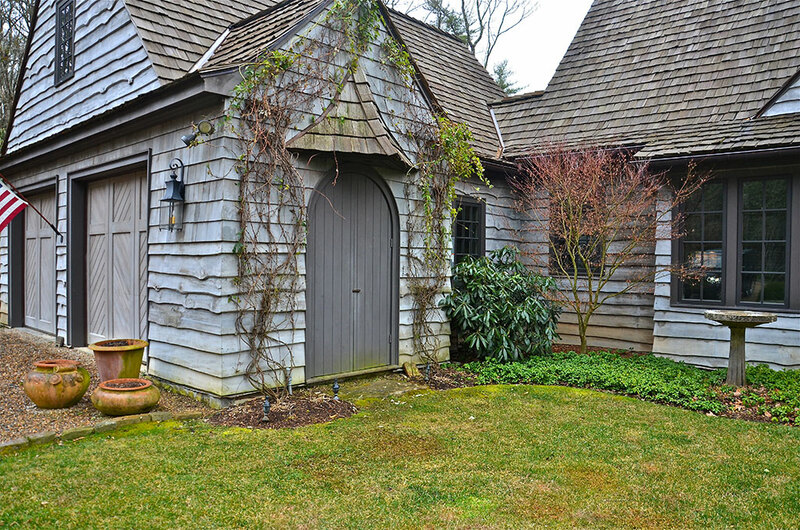 This arched door is located on the side of the garage–maybe it is a potting shed. Whatever it is, it is charming. 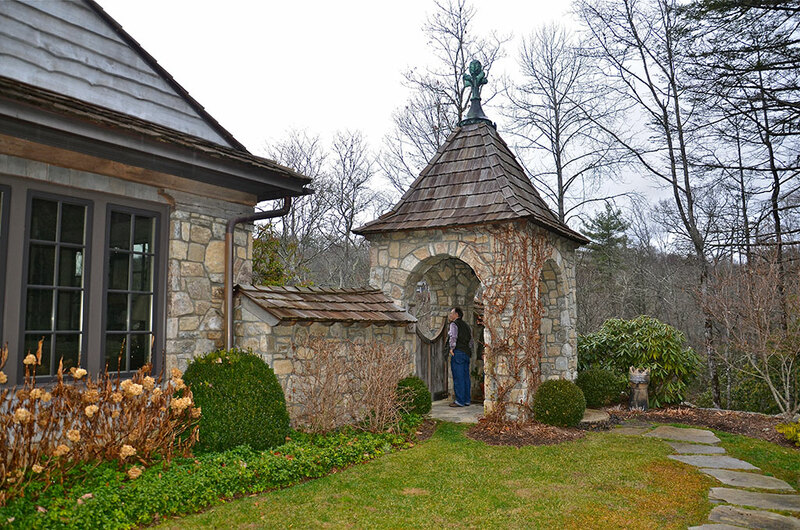 This stone tower and wooden gate lead to the front courtyard and Entry garden. 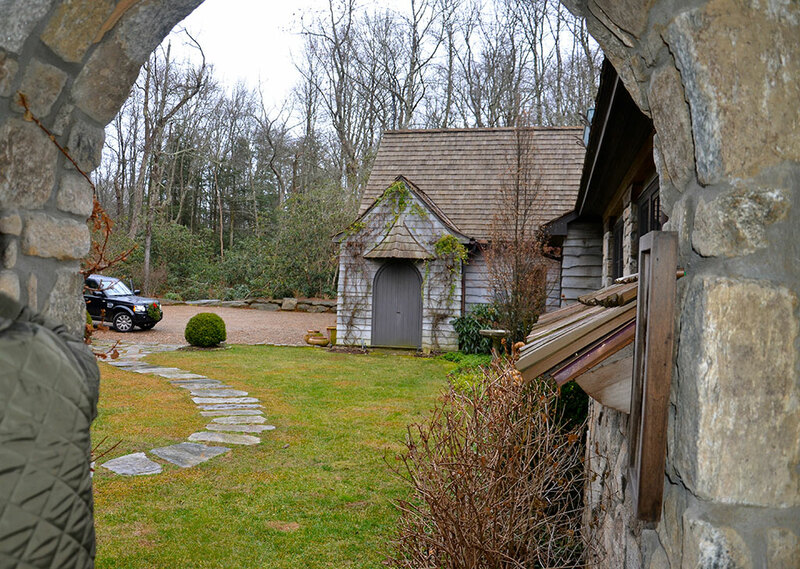 Open the wooden gate and walk in to the Entry Courtyard. Yes, please! These stone arches lead to the homes entry. This is the view looking back to the gravel drive–there is that cute little shed again. 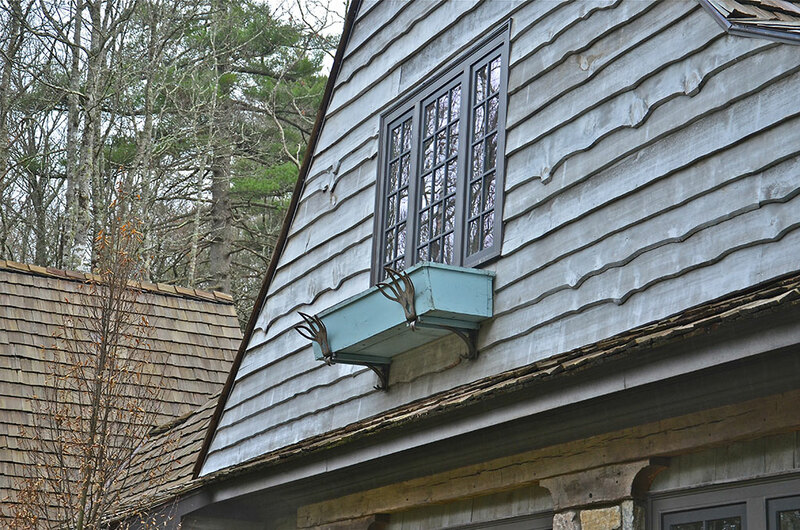 The window box hanging bracket is metal and resembles a deer head and antlers. Note to self–add this to your house. I hope you enjoyed this little Christmas break–now back to the Holidays. perfection. House looks like it’s been in that landscape for years. It is even better in person. It oozes charm.